The majority of my career to date has been spent in restaurant bars which allowed me to develop a good culinary understanding through working closely with the kitchen and likewise with the floor teams. Roux Fine Dining, Restaurant Brian Turner, Maze, Institute of Directors. 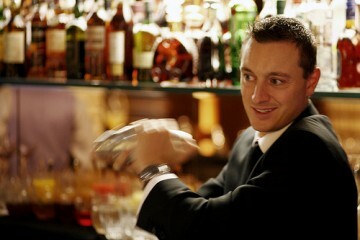 Daniel Baernreuther (now Beverage Manager at The Savoy). I worked for him at Claridge’s for two years and in that time the way he pushed the whole team in a nurturing way to consistently strive for excellence has stuck with me to this day. 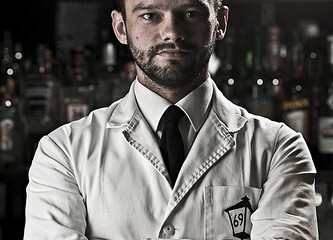 Which bartender do you admire and why? Brian Silva. Because no matter how busy Brian is whilst behind the bar he always finds time to interact with his guests, treating them as individuals and imparting at least some of his years of knowledge, passion and experience with them. That and I admire his style of drinks and his understanding of ingredients and taste. I feel like I have proudest moments every day, especially when guests take the time to feedback on their positive experiences at the hands of my team and I. Out of the freezer with a twist. The Tregothnan Cocktail (Hennessy fine de Cognac and Tregothnan Earl Grey tea blended with pineapple, honey and lemon juice). For me the word ‘mixologist’ suggests someone who focuses on creating drinks with drinks in mind, as a chef would food, allowing other people to deliver and do the talking. 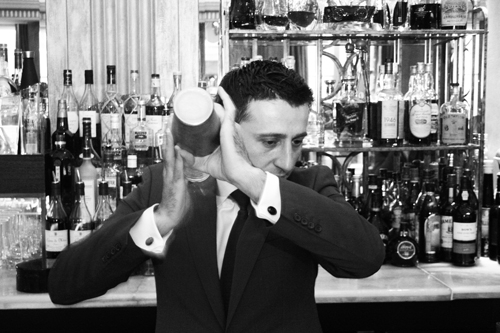 Whereas a good bartender is a host, an entertainer, a sympathetic ear and incorporates the art of mixing drinks as if it were second nature. The Connaught – it has two fantastic bars within meters of each other. However if I could, Claridge’s old cigar bar The Fumoir, the guys in there have an incredible cocktail list that I would love to work my way through! A good ice machine – bad ice can ruin a drink. Ada Coleman, so I could try and coax stories of her time spent at Claridge’s and The Savoy. Find Denis at Claridges bar, Brook Street, W1K 4HR. T: 020 7629 8860. claridges.co.uk.